This post is a request, of sorts. John Donne believed in God. But when you read John Donne, what editor do you believe in? When I first began writing these posts, I would copy and paste poems straight from other web sites. I’m afraid to look back at those posts. In particular, I copied and pasted Robert Frost’s Birches, only to discover that the copy was missing several lines of the poem. I almost missed it. Nowadays, I type in everything by hand. My source for Donne’s poetry is the Oxford edition, Donne’s Poetical Works, edited by H.J.C. Grierson. (The link is to a later edition of the book.) My own book is actually two books. The first is Donne’s poetry and the second is an Introduction and Commentary. Both books are hard bound and oxford blue. They date from 1963. I don’t know if the later edition (linked above) is of the same quality but, if so, then I strongly recommend it. If you can find the two volume edition, and if you really want a good copy of Donne’s poetry, this is the edition I would recommend. It represents the closest thing to an unfiltered copy of Donne’s works. All editorial alterations are explained and accounted for. Spelling and contractions aren’t modernized, which in Donne’s case, can be essential. 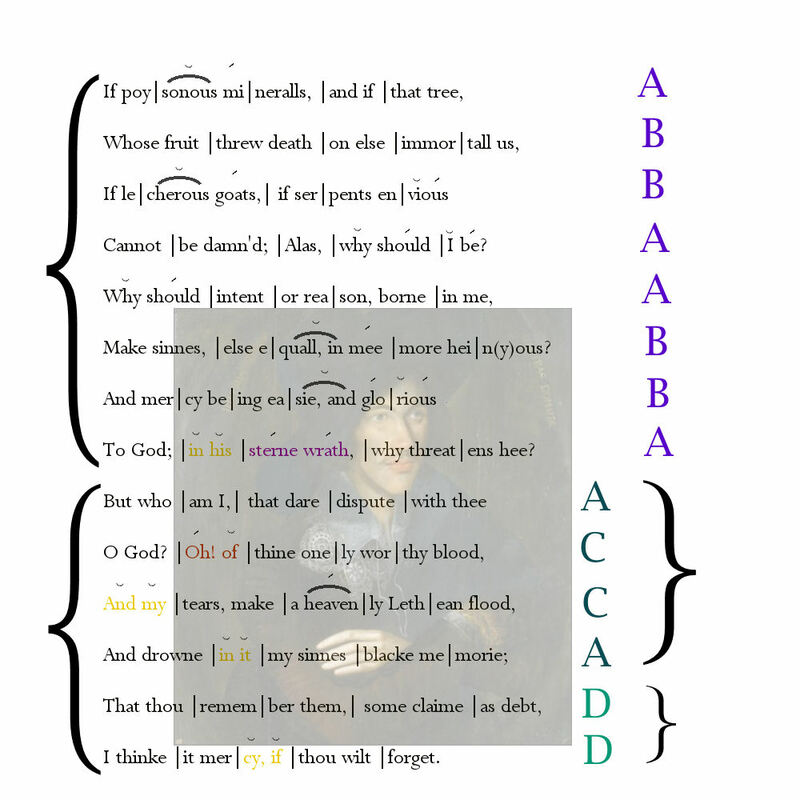 For more discussion as to why, see my post: John Donne & Batter my Heart: Editing Iambic Pentameter Then & Now. Second best, for a complete edition, would be C.A. Partrides Everyman’s Library edition. Partride is faithful to Donne’s spelling and punctuation. I do not like the Norton Critical Editions issue of Donne’s Poetry. For a book that touts itself as a “critical edition”, the spelling and punctuation of Donne’s poems are frequently altered without explanation or even indication that they have done so. The way Norton prints the poems is out and out misleading. Another book, which has recently been reissued, is Theodore Redpath’s The Songs and Sonnets of John Donne. This is a really, really good book. It’s not complete. It doesn’t have Donne’s Holy Sonnets, but the footnotes to all the poems are fascinating, enjoyable and thorough. Anyway, as I look more deeply into these older poems (when the authority of a given text was anything but authoritative) the decisions editors make in how they punctuate poems (and sometimes alter words) has become increasingly interesting to me. I’ll talk about some of that and why I find it so compelling. Here’s the sonnet, straight from Grierson’s edition. The only thing I’ve changed is the (f) to an s. WordPress doesn’t offer a true Elizabethan S.
Cannot be damn’d; Alas, why should I be? I thinke it mercy, if thou wilt forget. Make sinnes, |else e|quall, in mee |more heinous? This makes the line Iambic Tetrameter, sort of. There would be two variant feet. The third foot would be an anapest and the final foot would be a femine ending. This is bad. Remember, the rest of the sonnet is Iambic Pentameter, (as were most sonnets during the Elizabethan era). 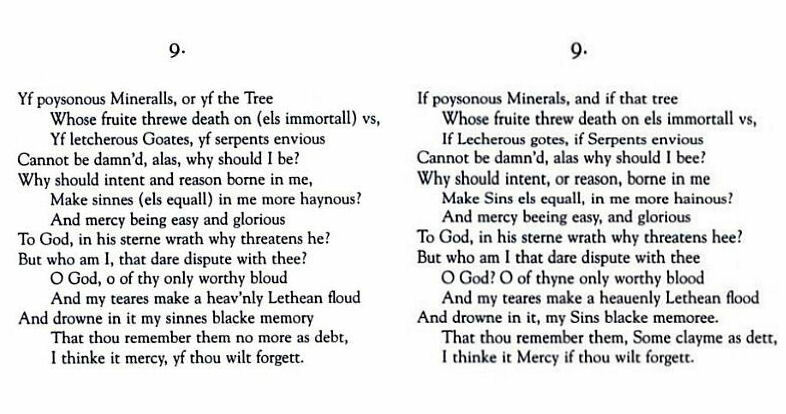 An Iambic Tetrameter line would have been considered amateurish for a poet of Donne’s genius and would have been unprecedented (even by his standards). 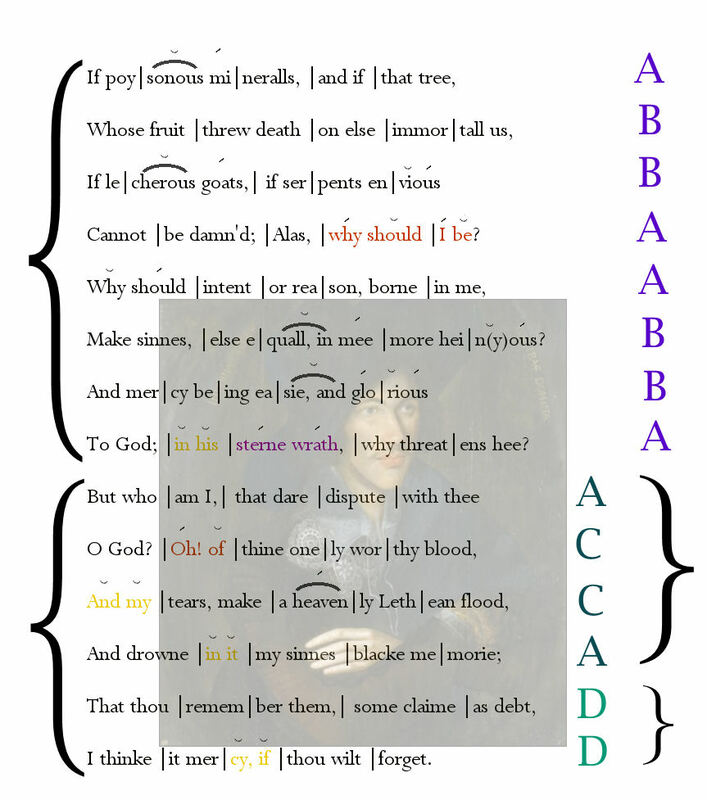 What was worse, though, is that this scansion would mean that Donne’s rhyme was a false rhyme (or a wrenched rhyme). Such a rhyme would not have been considered innovative but incompetent. Messy meter along with a false rhyme just seemed too hard to swallow, even for Donne. HEINOUS, hateful, atrocious, (F. — O. L.G.) Properly trisyllabic. M.E. 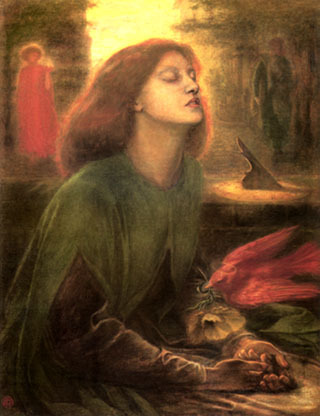 heinous, hainous; Chaucer, Troilus, ii. 1617. — O.F. haïnos, odious; formed with suffix –os (=Lat. osus, mod. 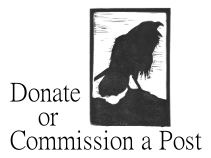 F. –eux) from the sb. haïne, hate. — O.F. haïr, to hate. From an O. Low G. form, well exemplified in Goth. hatyan or hatjan (=hatian), to hate; not from teh cognate O.H.G. hazzon. See Hate. Der. heinous-ly, heinous-ness. In Elizabethan times, one still apparently heard heinous as hay-e-nous . Originally, when I published this post, I thought that the alternate pronunciation might be hay-ne-ous, like the -ion sound in the word onion. I thought this because I reasoned that Donne was trying to rhyme with envious and glorious, but based on the Etymological Dictionary’s pronunciation key, I’ve changed my mind. Also, my original thought ignores the rhyme immortal us – with which he-i-nous would rhyme. As it stands, heinous was apparently treated as a disyllabic or trisyllabic word depending on the needs of the poet. Shakespeare seems to have pronounced it as we do, and so treated it as a disyllabic word. Such a difference from Donne might reflect a difference in dialects? Make sinnes, |else e|quall, in mee |more he|i–nous? Make sinnes, |else e|quall’n mee |more he|i–nous? This makes the line fully Iambic Pentameter. None of this is to say that Elizabethan readers might not have scratched their heads when reading this line, but probably would not have done so for as long as a modern reader (like me). At any rate, this is how I scanned it. In this sonnet, more than the others, Donne’s disputatious relationship with God come to the fore. Donne gives a list of maleficent items and ingredients worthy to be damned. P oisons were frequently associated with serpents, though in this case Donne first jumps to minerals. (Through the process of association, however, the serpent shows up in line three – the poet’s mind at work.) Similar image clusters occur in Shakespeare’s works. 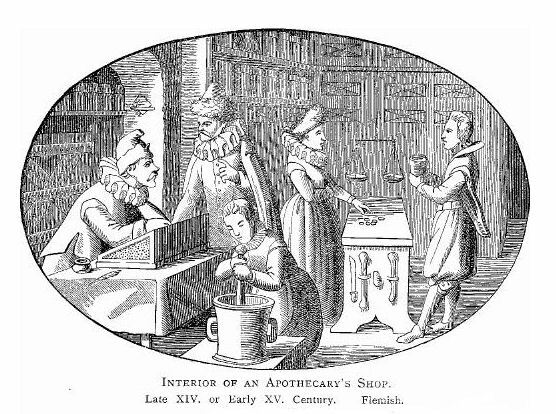 In the case of poisonous minerals, Donne might have been referring to the many “medicines” that were prevalent during the Elizabethan era, medicines which were poisons in their own right (the reasoning being that one poison would drive out another – namely the disease. The theme of drugs being worse than the disease they cured is a frequent one in Shakespeare. Classical cognoscenti know that the Greek word for drug, pharmakon, means both ‘medicine’ and ‘poison’, and that iatros means ‘doctor’. As they had no Pensioner Benefit Scheme or Adverse Drug Advisory Committee, the Greeks knew that all drugs could be potentially lethal as Socrates no doubt could attest from the Underworld. 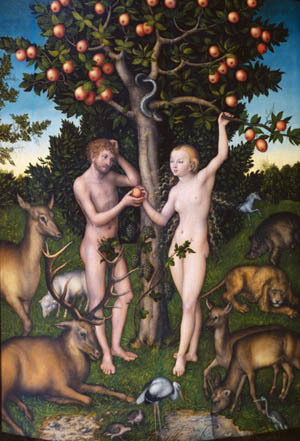 “That tree whose fruits drew death” is, of course, the tree in the garden of eden. Donne fairly asks, you threw us out of the garden, so why not the damned tree? 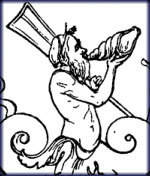 Goats were associated with lechery and having already mentioned poison (poison being associated with serpents), the associative leap to “serpent envious” was already in place. These abstract personifications may be inspired by the medieval morality plays that, even in Donne’s day, were still being staged (though quickly fading). Certainly, in any morality play featuring the garden of eden, the audience could expect to see the “lecherous goat” and the “envious serpent” personified. Alas, why should I be? Now use that same inflection when rereading Donne’s question: Why should I be? The effect is almost one of petualance. Why should I be? / Why should intent or reason, borne in me, / Make sinnes, else equall, in mee more heinous? The meter tells us that Donne’s question isn’t a whiney sort of – Why me? Why should I be? – but is more argumentative and disputatious. Why should I? If we don’t read it with the meter, then not only do we miss the tone and inflection of Donne’s poem, but we also ruin the rhyme scheme. The word be would be unstressed. This would make it a wenched rhyme (a false rhyme). All the other –e rhymes – tree, me, hee, thee and momorie – are stressed. Who am I, he asks, that dare dispute? And since I don’t think the horse is dead, I’m going to keep beating it. This is yet another example of what free verse just can not do. This isn’t to denigrate free verse, but traditional poetry and free verse are, in some ways, very different art forms. Men and women are different. Traditional Poetry and Free Verse are different. Something was lost when free verse became the dominant verse form of the last century and (apparently) the first decade of this one. Free verse didn’t just adapt traditional poetry and reshape it, it entirely replaced it. I’m not arguing that free verse posts should get back to writing traditional poetry, but only for an acknowledgment of what has been lost. But who am I that dare dispute with thee? The job of editing Elizabethan poets, when spelling wasn’t standardized and printing was idiosyncratic, is to objectively and subjectively present to the modern reader what might come closest to the poet’s intentions. It’s what I try to do when analyzing these poems. He asks that Christ’s blood, which onely (or alone) is worthy, be mixed with his tears. 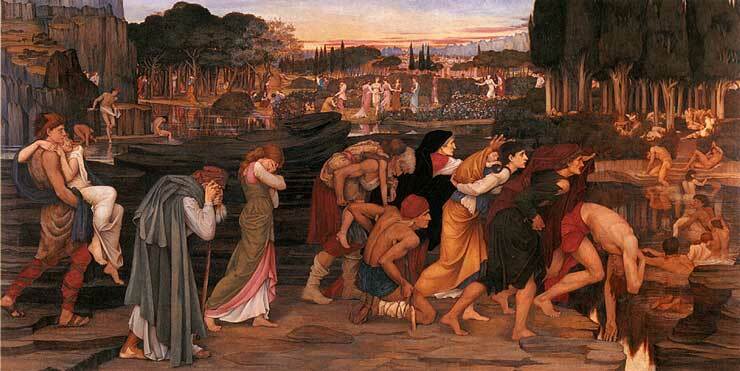 The River Lethe, one of the rivers of Hades, was said to erase the memory of souls before they reincarnated. Mixing Christian and Greek mythology, Donne is asking that the black sins of his past be forgotten and erased. Let both the forgiveness of Christ’s blood erase his sins, and the waters of the River Lethe further drive them from memory. The final lines are pregnant with emotion. Is it anger? resignation? weariness? maybe a little humor? a return to disputation? I’m not sure. I think a good reader or a fine actor could find all those senses in the final couplet. 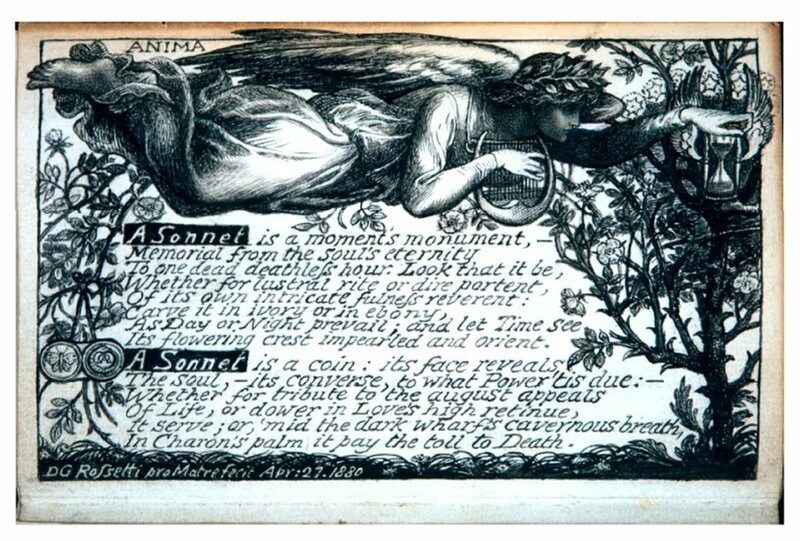 The structure of the sonnet combines elements of the Petrarchan and Shakespearean (English) Sonnet sensibility. 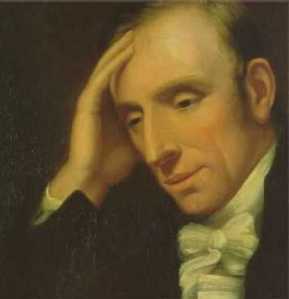 It’s closest antecedent may be Sidney’s Sonnets, whose sonnets Donne was probably familiar – (as were most Elizabethan poets). 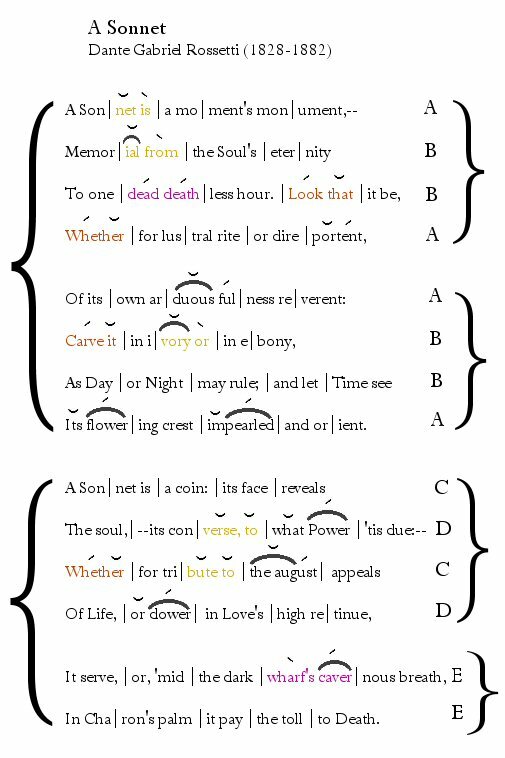 While the octave (the first eight lines) are typical of the Petrarchan Sonnet, the brilliant argumentative style favored by the Elizabethans asserts itself in the final sestet. The sestet is divided into a third quatrain and a final couplet, much like Shakespeare’s sonnets. 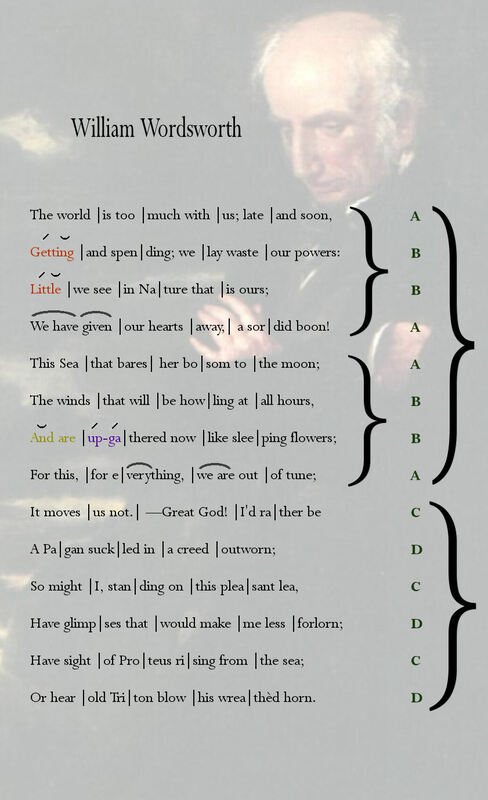 Though the sonnet lacks the brilliant rhetorical drive toward a closing epigrammatic sting (typical of Shakespeare’s sonnets) the elements of that same Elizabethan love of dispute, debate and resolution remain. Donne has a point to make and he drives it home in the final couplet. If this post has been useful, let me know. I love helpful comments. 1.) The first line, in a single line, sums up the entirety of the soliloquy – as though Shakespeare were providing crib notes to his own soliloquy. There’s a reason. He wants to cleanly and clearly establish in the playgoers mind the subject of the speech. There will be no working out or self-discovery. Shakespeare is effectively communicating to us some of the reason for Hamlet’s hesitancy. The speech, in effect, is the reverse of the Shakespearean Sonnet that saves its epigrammatic summing up for the last line. The Shakespearean Sonnet, as Shakespeare writes it, is the working out of a proposition or conflict that finds a kind of solution in the epigrammatic couplet at its close. First to the disclaimer: There is no one way to scan a line but, as with performing music, there are historically informed ways to scan a poem. Shakespeare was writing within a tradition, was a genius, and knew perfectly well when he was or wasn’t varying from the Iambic Pentameter pattern of blank verse. To assume less is to assume that he was mindlessly writing a verse he either didn’t or couldn’t comprehend. An actor has some latitude in how he or she wants to perform a line, but choosing to ignore the meter is akin to ignoring slurs or other markings composers provide in musical scores. Putting the emphasis on that subtly alters the meaning of the line. It sounds as though Hamlet were looking for the question, the conundrum, and once he has found it he says: Ah ha! That is the question. And this is how most modern readers read the line. By putting the emphasis on is, in keeping with the Iambic Meter, the meaning of the line takes on a more subtle hue – as if Hamlet knew the question all along. He says: That is the question, isn’t it. The one question, the only question, ultimately, that everyone must answer. There’s a feeling of resignation and, perhaps, self-conscious humor in this metrical reading. How does Baer know Shakespeare’s intentions? How does he know that Shakespeare, in this one instance, means to subvert the iambic meter? He doesn’t tell us. All he says is that “most readers will substitute a trochee after the first three iambs” – which hardly justifies the reading. Baer’s argument seems to be: Most modern readers will read the foot as a trochee, therefore Shakespeare must have written it as a trochee. The word anachronistic comes to mind. If one wants to emphasize that for interpretive reasons, who am I to quarrel? But the closest we have to Shakespeare’s opinion is what he wrote and the meter he wrote in. And that meter tells us that is receives the emphasis, not that. 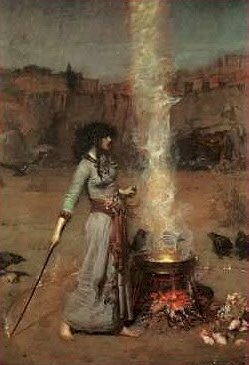 Note: Baer later mis-attributes the witch’s chant in Macbeth (Page 25) as being by Shakespeare- an addition which most Shakespearean scholars recognize as being by Middleton. Not a big deal, but this stuff interests me. Anyway, I prefer an iambic reading knowing that not everyone will. The line closes with a feminine ending in the fifth foot. For this reason, the line isn’t an Iambic Pentameter line but a variant within the larger Iambic Pentameter pattern. Compare the blank verse of Shakespeare to that of many modern Formalist poets. Shakespeare is frequently far more flexible but, importantly, flexes the pattern without disrupting it. Finding a balance between a too-strict adherence to a metrical line and too-liberal variation from it is, among modern poets, devoutly to be wished for. But modern poets are hardly unique in this respect, compare this to Middleton’s blank verse (a contemporary who collaborated with Shakespeare.) Middleton stretches blank verse to such a degree that the overall pattern begins to dissolve. He is too liberal with his variants. A figure of speech in which a future event is referred to in anticipation. Scheme. A general statement which preceedes the division of this general proposition into parts. Praesumptio is the other meaning of Prolepsis, which is what you will find on-line. So, I guess you heard it here, and online, first. Prolepsis has two meanings. Anyway, Shakespeare takes the general To be, and particularizes it, writing : Is it nobler “to be”, and to suffer the “slings and arrows” of life? The method of argumentation, known as a Topic of Invention, was drilled into Elizabethan school children from day one. All educated men in Shakespeare’s day were also highly trained rhetoricians – even if the vast majority forgot most of it. Shakespeare’s method of writing and thought didn’t come out of the blue. His habit of thought represents the education he and all his fellows received at grammar school. 4-5.) These two lines also close with feminine endings. Shakespeare, unlike earlier Renaissance dramatists, isn’t troubled by four such variants in a row. They elaborate on the second part of the of the question – not to be. Or is it better, Hamlet asks, to take arms and by opposing our troubles, end both them and ourselves? Is it better not to be? In line 7, natural should be elided to read nat‘ral, otherwise the fifth foot will be an anapest. While some metrists insist that Shakespeare wrote numerous anapests, I don’t buy their arguments. Anapests were generally frowned on. Secondly, such metrists need to explain why anapests, such as those above, are nearly always “loose iambs”, as Frost called them – meaning that elipsis, synaloepha or syncope could easily make the given foot Iambic. Hard-core, incontestable anapests are actually very difficulty to find in Shakespeare’s verse. They are mitigated by elision, syncope or midline pauses (epic caesuras). 10-13.) Shakespeare now particularizes “not to be” (or death) as, perhaps, a dream filled state. This is the counterpart to lines 6-9 in this, so far, exquisitely balanced disquisition. For in that sleep of death what dreams may come – he asks. 14-27.) At this point, Shakespeare could have enumerated some of the fearful dreams attending death – a Dante-esque descent into fearful presentiments. But Shakespeare was ever the pragmatist – his feet firmly planted in the realities of life. He took a different tact. He offers us the penury, suffering and the daily indignities of life. We suffer them, despite their agonies, fearing worse from death. We bear the whips and scorns of time (aging and its indignities), the wrongs of oppressors (life under tyranny), the law’s delay, the spurns of office. Who, he asks, would suffer these indignities when he could end it all with an unsheathed dagger (a bare bodkin) to his heart or throat? – if it weren’t for the fear of what might greet them upon death? Those dreams must be horrible! And he leaves it to us to imagine them – our own private hells – rather than describe that hell himself – Shakespeare’s genius at work. For who would bear the whips and scorns of time? The figure denotes the use of two nouns for a noun and its modifier. It’s a powerfully poetic technique in the right hands, and one that is almost unique to Shakespeare. Few poets were ever, afterward, as rhetorically inventive, adventurous or thorough in their understanding and use of rhetoric. It’s part and parcel of why we consider Shakespeare, not just a dramatic genius, but a poetic genius. 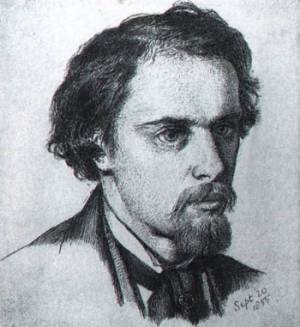 He unified the arts of language into an expressive poetry that has never been equaled. Line 16 presents us with some metrical niceties. I’ve chosen to use synaloepha to read The oppres|sor’s wrong as (Th’op)pres|sor’s wrong. I’m not wedded to that reading. One might also consider it a double onset or anacrusis (as some prefer to call it) – two unstressed syllables followed by a stressed syllable in the first foot. Interestingly, metrists have historically preferred to consider this anapest a special variant and so don’t refer to it as an anapest. As a practical matter (considering how the line is likely to be spoken by an actor) I suspect that the first foot will sound more like an Iamb or a loose Iamb – which is why I scanned it the way I did. Line 16 closes with the word contumely. I think that nearly all modern readers would read this as con-tume-ly. A glance at Webster’s, however, reveals that the word can also be pronounced con-tume-ly. The difference probably reflects changes in pronunciation over time. In this case, it’s the meter that reveals this to us. An incontestable trochee in the final foot is extremely rare in Shakespeare, as with all poets during that time. If you’re ever tempted to read a final foot as trochaic, go look up the word in a good dictionary. In line 22 the under, in the third foot (under |a wear|y life), is nicely underscored by being a trochaic variant. In line 25 the fourth foot echoes line 22 with the trochaic puzzles. This is a nice touch and makes me wonder if the reversal of the iambic foot with under and puzzles wasn’t deliberate – effectively puzzling the meter or, in the former, echoing the toil of a “weary life” and the “reversal” of expectations. But it’s also possible to read too much into these variants. By my count, there are only 6 Iambic Pentameter lines out 13 or so lines (lines 14-27). The rest of the lines are disrupted by variant feet. That means that less than 50% of Shakespeare’s lines, out of this tiny sampling, are Iambic Pentameter. The Blank Verse of Shakespeare (an ostensibly Iambic Pentameter verse form) is far more flexible and varied than one might, at first, expect. But the Iambic Pentameter pattern encourages us (when we can) to read feet as Iambic. 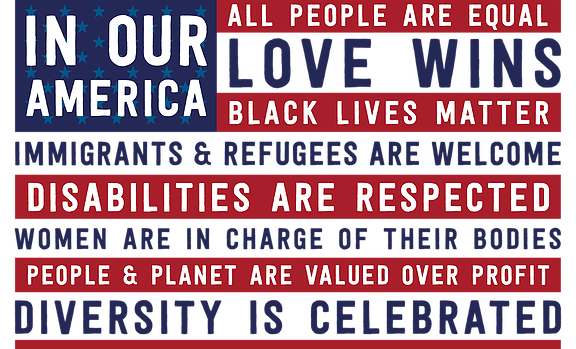 In this case it makes more sense to emphasize does rather than make. 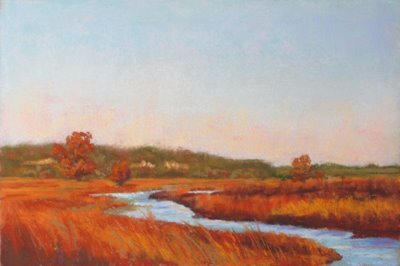 One thing worth noticing, and it’s my very favorite poetic technique and one that has been all but forgotten by modern poets, is anthimeria – the substitution of one part of speech for another. Most Elizabethan and Jacobean authors use nouns freely as verbs, but they are not very venturesome…. The last plays of Shakespeare teem with daringly brilliant metaphors due solely to this use of nouns and adjectives as verbs…. they add vigor, vividness and imagination to the verse… almost every play affords examples of such happy valiancy of phrase. Finally, notice the imagistic and syntactic parallelism in “the native hue of resolution” and “the pale cast of thought”. It’s a nice poetic touch that adds emphasis to Shakespeare’s closing argument – our fears dissuade us from enterprises “of great pith and moment”. Interestingly, even as Hamlet’s dithering ends, he never truly decides whether “to be or not to be”. If this has been helpful, let me know.